I have a shirt bearing these lyrics. It’s a new shirt. New to me at least. I picked it up November 19 at a Project 86 show at the Red Sea Club in Minneapolis. I found it digging through a box of $10 shirts and I knew it was for me. Why? Well, first of all, it was one of the two shirts in the bin that would actually fit me. Second, I love the meaning in these words. They resonate deeply with me. And, it’s lyrics like these that drew me to Project 86 in the first place. This was my third time seeing the Orange County stalwarts live, and it could well be the last. 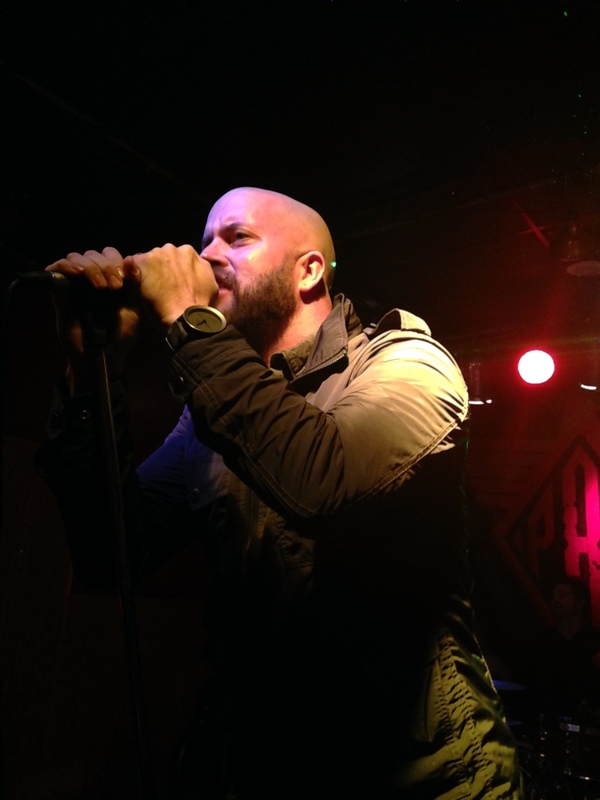 P86 is in the midst of their 20th anniversary tour, and who knows how much longer those guys will be melting faces. Just like the first two times, I was accompanied by my brother, the man who first introduced me to these guys over 15 years ago. However, we had a newbie on this adventure with us: my seven year old son, Joshua. Joshua fell in love with P86 several years ago and they are still, generally speaking, his “go to” when we are riding around town. I still recall, when he was five years old, him belting out “Light ’em up! Light ’em up!” (from P86 anthem, Illuminate) in his carseat as we coasted down River Prairie Drive. 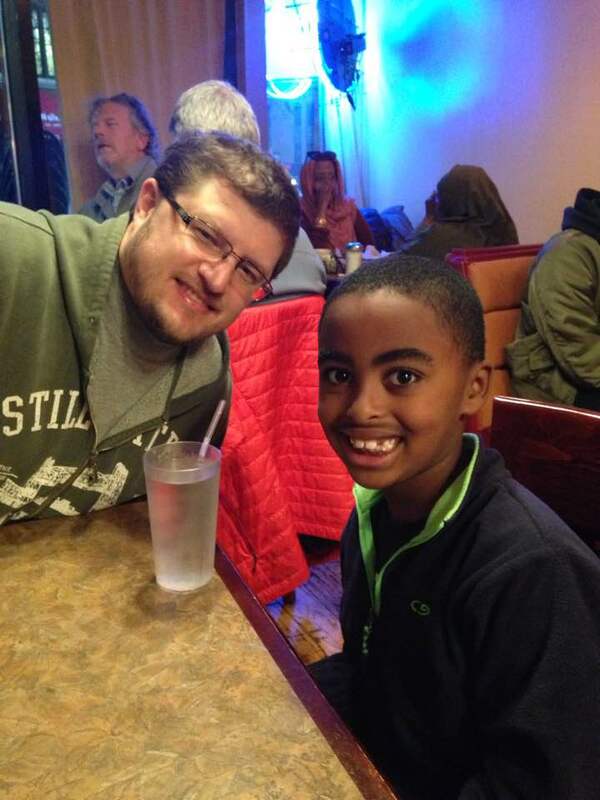 When the reality set in that he was going to see his favorite band with his favorite uncle in his favorite city in an Ethiopian club/restaurant (Joshua is from Ethiopia), he was beyond excited. Before I get into the show itself, a word about Red Sea. We arrived around 5pm and had supper in their restaurant. We really enjoyed the feel of the place. It had a chill atmosphere with a blend of jazz and Ethiopian pop blessing our ears. And the food was great. But the highlight, by far, was when our server found out that Joshua was Ethiopian. Both of their faces lit up. It was beautiful watching my son, who lives in pasty Eau Claire, enjoy being in the midst of “his” people. He felt at home and it melted this daddy’s heart. From what we understood, the doors for the show were to open at 6pm with the show starting at 6:30. I hadn’t read anything about opening acts, but I assumed there would be one or two. Well, we walked into the club a little before 6pm and a band was already playing. So, we went in and listened. After a bit, we learned that there were a total of SEVEN bands playing before P86 and they weren’t going on until after 9pm, which led to a MUCH later night than I expected for this old man and his little boy. Regardless, we had a great time, taking several breaks and walking around Cedar Avenue, including a stop at a Hong Kong bakery/cafe. The entire experience was rich and truly unforgettable. Now, onto Project 86. All night, we tried hard to stay close to the stage, so Joshua would have a good view of the band. In fact, when their show began, there was nothing between Joshua and the stage. And he was ready to rock. We were close enough to, in my bro’s words, get hit by Andrew Schwab’s spit and sweat (which actually happened). When the guys hit the stage, they started out with the intense, morose, and gentle lead-in to their song, PS. That first movement lasts a while, and Schwab hadn’t arrived yet. In the midst of that, Joshua turned to me and said, “This is boring.” I encouraged him to be patient… and that was the last time he was close to being bored that night. Halfway through that first song, the crowd started to mobilize. I had forgotten about the “mosh pit” aspect of P86 shows. Soon, I found myself leaning over my boy to protect him from the violent dancing happening around us. I was pushed off balance a couple of times, but was able to effectively shield Joshua. In fact, he was oblivious. He was enthralled, with his head bobbing the whole time. The bass player came up to him a couple of times mid-song and touched his shoulder, making sure he was okay. This only served to Super Glue Joshua’s eyes, ears, mind, and heart to what was happening onstage. Later, Joshua asked me why I was leaning over him… he had no idea. He was rocking. The truth is… I couldn’t blame those folks for moving. My first experience with Project 86 was their Drawing Black Lines album about 15 years ago or so and that’s when they hooked me. But, when they really got me was the first time I went to see them live at Club 3 Degrees in Minneapolis about eight years ago. I was standing toward the back of the venue and I found that I could not keep my body from moving. I was compelled. And the concert seemed to have its very own culture. I felt like, for that snapshot in time, I was a part of a community, a movement. That’s when they got me for good. So, I can’t blame the kids for thrashing about. Regardless, I moved Joshua around to the side of the stage where we were clear of the craziness and still had the band right in front of us. We were so close that I had to move my head several times to ensure I didn’t get clocked by the bass player. We could see it all going down. Better yet, we were experiencing it all together, father and son. It was beyond special. Every once and a while, I would tap on Joshua’s shoulder and ask if he was okay, to which he would give a thumbs-up in response. And we continued to rock. I truly enjoyed the set list for the show. As advertised, they played a bunch of older songs in celebration of their 20 years and, we rocked out to EVERY last one of those songs. The list was heavy on Drawing Black Lines, including crowd favorites Chimes, Stein’s Theme, and Me Against Me (which was the fitting show-closer and the namesake for a recent TS10 playlist). We were also treated to Sincerely, Ichabod, Hollow Again, and The Spy Hunter. But the highlight of the show, for certain, came when the band returned to the stage for their obligatory encore. When the first notes of hammered dulcimer hit our ear drums, Joshua turned and looked at me with a great big smile. It was his all-time favorite, Fall Goliath Fall. He’d been wearing sound-reducing headphones all night to protect those little ears, but I didn’t want anything getting in between him and that performance. So, off the headphones came. And, my little Ethio-Sconnie boy rocked his little heart out (see the video below). When the show ended, we had a chance to connect with the bass player and thank him for his connection with Joshua and Joshua got the opportunity to give Schwab a high five. As the three of us walked out of the club, we did so with hearts full and floating. It was a truly beautiful night and experiencing it with my son and my brother made it exponentially better. But why? Is it just the matter of shared experience? I mean, I share experiences with my son on a regular basis. And, we’ve hung out with Uncle Josh (yes, he’s a “Joshua” too) numerous times. But the x-factor in this experience was Project 86. If you pay much attention to Tomme Suab, you know that Project 86 is a TS favorite. They’ve been featured on the TS10 more than just about anyone else. Their intensity, honesty, and hard-driving vibe has spoken to me for years. And, as I mentioned above, something in me shifted that first time I saw them live. Now, my son and I, along with Uncle Josh, have experienced that shift together. While my son cannot understand yet all the elements of Project 86’s music that connect with me so deeply, he certainly “gets” some of it. For right now, it’s a lot about their intensity and loudness. But, as time goes on and his mind and heart are ready to talk about it, we’ll get into the lyrics more and discuss the deep and sometimes painful themes that live in their songs. For now, however, we’ll have that night at the Red Sea, and that is more than enough for the moment.